Northern Virginia-based graphics company Billion Dollar Graphics and founder and owner, Mike Parkinson, have partnered with Government Proposal Solutions, Inc., to offer their Get My Graphic product to GPSI’s GOVPROP.com® corporate subscribers. Get My Graphic is an online database of nearly 10,000 (and growing) professional graphics editable in PowerPoint. Get My Graphic saves GOVPROP.com subscribers time and money in creating visuals for presentations, proposals, and marketing materials. GOVPROP.com was founded by retired and industry executives. Thousands of experts and expert companies have signed onto GOVPROP.com. Mr. Parkinson built Get My Graphic using his 20+ years of design and proposal experience. Through 24 Hour Company, a graphic design company he co-owns, Mr. Parkinson continues to help government contractors and private sector companies create successful proposal and presentation graphics. Mr. Parkinson travels the country teaching visual communication and how to turn ideas and concepts into winning graphics. 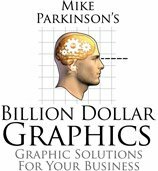 His book, Do-It-Yourself Billion Dollar Graphics, is going into its third printing and demonstrates his conceptualization process for designers and business professionals. Get My Graphic launched in 2006 as a resource to make it easy and affordable to get clear, compelling, professional graphics. The almost 10,000 graphics, infographics, photographs, icons, and templates are fully editable in a Microsoft PowerPoint® environment. GOVPROP.com® is a one-stop secure online marketplace connecting federal, state, local and international government contractors and grantees with verified experts and consultants. GOVPROP.com also provides real time market intelligence, a Knowledge Academy, secure collaboration, talent-matching services for verified experts, and a broad range of related business services. Their expert database includes former government officials and private sector employees who spent years supporting public sector programs. Contractors can search for proposal managers, graphic artists, price to win specialists, contracts specialists, bid protest attorneys, marketing and communications specialists, government affairs specialists, cyber security experts, IT and programming, construction experts, and other skills.